Gift card received. All opinions are my own. With the new year in full swing I have started taking steps to change and improve my life. This not only includes my health and physical appearance, but my home as well. Things like decluttering and refreshing the house with new décor do wonders for your overall feeling of well being. 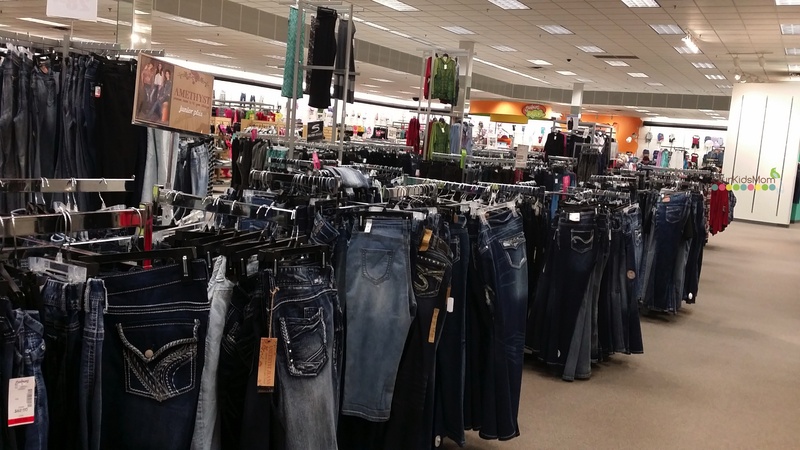 I decided to take my mission to my local Gordmans store to see what kinds of deals I could find. One of the first things that caught my eye were shoes. I’ve recently dropped 55 pounds, and my feet have shrunk down a size. Nothing fits right and my summer shoes won’t stay on my feet! 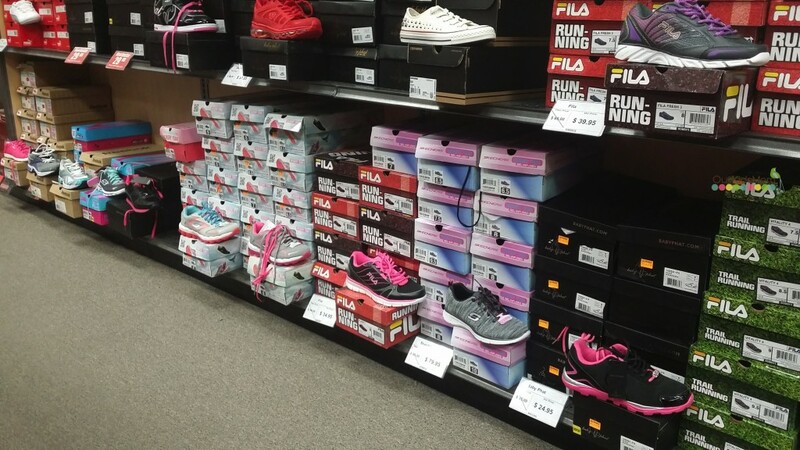 I can get a little carried away in the cute shoe aisle, but I soon found the athletic shoes and spend quite a bit of time browsing. In fact, I think I went up and down those aisles at least four or five times each. I finally stopped when my shopping cart was full and I began trying on shoes. I can’t even begin to tell you how much fun that was. I went from a womens 12 to an 11. 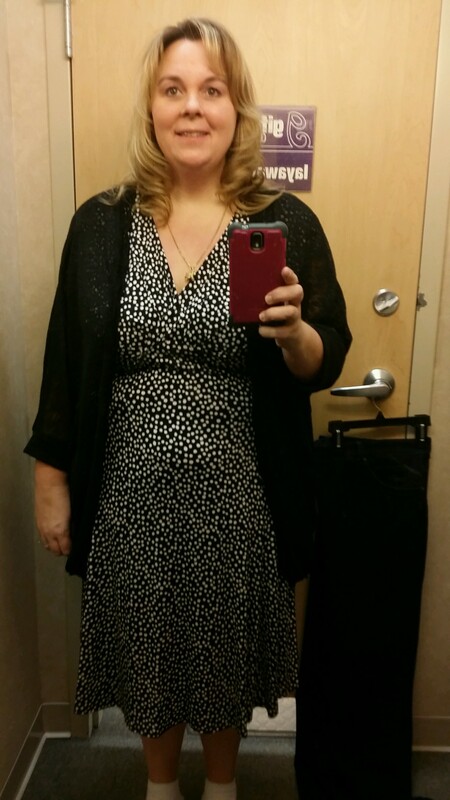 That is a world of difference… you can almost never find size 12 but there were more than enough choices in 11! After the shoes I headed over to the clothing section. I was in desperate need of a pair of jeans that fit. 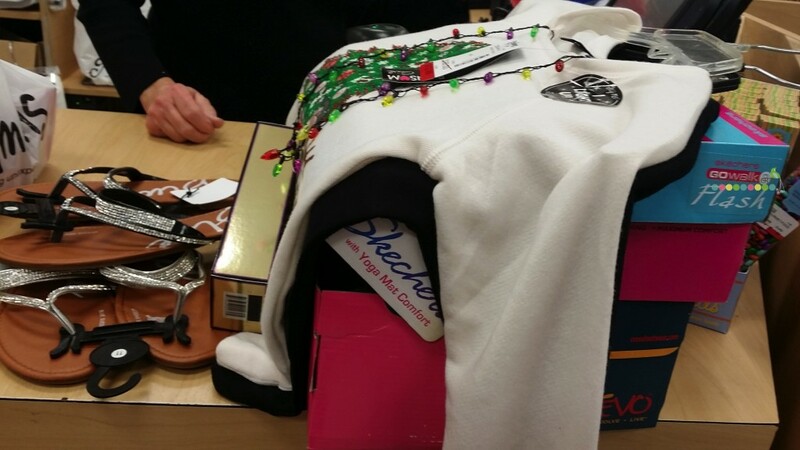 As you can see… I had my work cut out for me because the selection was that big! I usually hate the dressing room. This time I had a blast. I even grabbed a few dressier items to try on. I decided that I want to dress a little cuter on a daily basis. Jeans and t-shirts are fine… but when I dress up even a little bit I feel prettier and am generally in a happier mood. After clothes I decided to head to housewares. Part of the New Year New Me was drinking more water. Having a fun cup to drink from makes it easier to remember to keep it with me. I also spent a bit of time in the home accents department. It’s crazy how a few accent pillows or a new wall hanging can change the mood of your room. The selection here was amazing and the prices didn’t make me feel light headed just looking at them! I spent a good two hours at Gordmans having the time of my life. 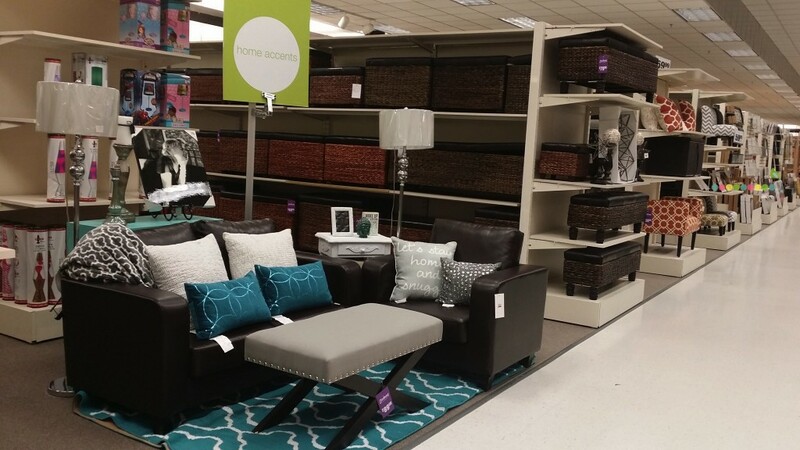 From trying things on to browsing for the home I probably could have walked out with three carts full! 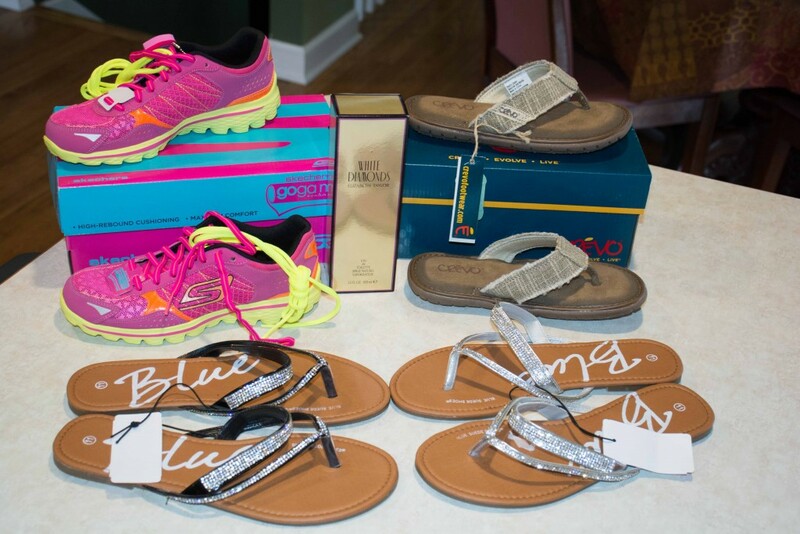 My intentions were to only buy for myself… as you can see I ended up buying a pair of shoes for Emma and a pair for Ethan. BUT… I did buy perfume. That is a rare purchase for me, but along with dressing up a little bit comes wearing a fragrance that makes me feel good about myself. That combined with the sandals with bling (yep… couldn’t walk away from them!) I have a good start to my New Me. Be sure to print this coupon before your next shopping trip to save 20% off one item (click on the coupon to be directed to the pdf)! ONE OurKidsMom reader is going to win a $25 Gordmans Gift Card! This giveaway ends at 11:59 PM EST on March 6, 2015. I learned that Gordman’s carries Jessica Simpsons underwear line. I would like to take advantage of the misses sale they have, extra 50% off clearance through 2/22. I like 50% off misses clearance. I learned they are having clearance sale in stores now. I like the misses sale for my granddaughter. I really liked the 50% off clearance items. I love all of their bright colored accents. I love their active wear! I would buy some new running pants! I love Gordmans prices. I would get me some new summer clothes. I like their Jordan boys clothes! I like shopping the footwear. They have so many boots! I like the pink/white Puma shoes. Love the statement necklaces – I need to make a trip this weekend!! I would get some new Puma shoes. I like their bold accents. I could use some bright and cheerful vases and ceramic decor. I would like to get a new spring from Gorman’s. I like the variety they have to pick from. I learned they have a store somewhat near me. They will text you special offers – YAY! 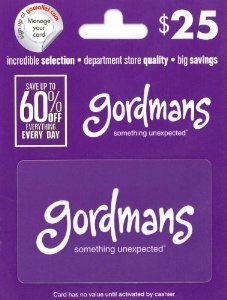 I just moved to the Midwest and had never heard of Gordman’s until recently. I like that you can earn $10 rewards for every 200 points. I want a pair of Pumas! I love all their purses and I can’t believe how cheap they are. I like the extra 50% off Misses Clearance sale going on now! Believe it or not, I’ve never been in one and so this would give me good reason to go! We have a store just 10 min away too. I learned the value of the Gordmans reward program. I entered the Samsung WB350 Smart Camera giveaway. I love all their workout clothing! They had some nice products and I like that you earn while you shop. Makes you feel less guilty, lol. OH I really loved their Roxy shoes for spring! So cute! I love the huge selection of children’s clothing at great prices. 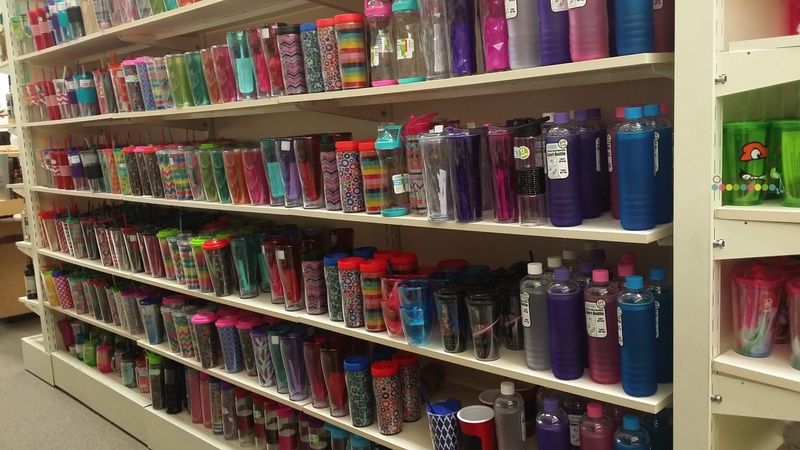 I love their home decor section. I could use one of their $19.99 lamps! They have some really cute summer footwear I would like. I would buy a new dress shirt. Possibly new dress pants. I may put it towards new shoes too or just trade the whole thing. I learned they have a rewards card! I like the cute shoes they have. 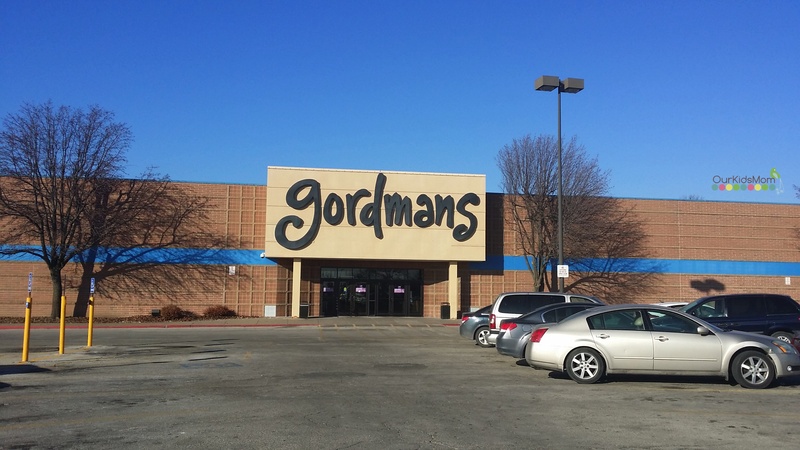 There is a Gordmans in Vernon Hills. Illinois! I learned they also sell swimwear at great prices! I didn’t realize this, but we have a Gordman’s very close by! Wow! 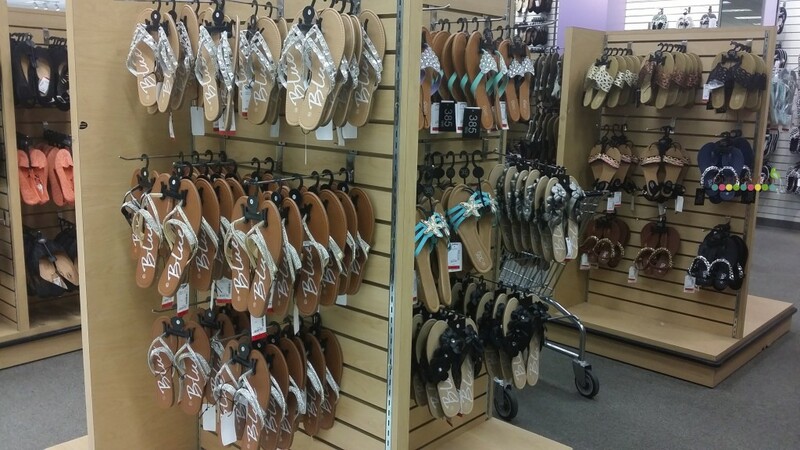 I like the sandal selections. I learned they have belted vests for only $14.99 right now. My daughter has been asking for one. I didn’t know they had such good prices. I like the Junior sleepwear. My granddaughter loves pajamas. 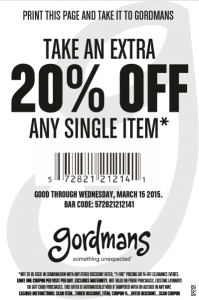 I learned that Gordman’s will celebrate its 100th anniversary this year. What a great little store! I would get some snadals for the summer! I want and need some cloth organizing baskets for our basement. I have metal shelves, but I need baskets to put everything. Then, it will be more organized and it will look better. I learned they have a rewards card. I learned that they have a rewards program!!!! I learned you can receive savings on your phone. I learned about their spring break pricing structure. I learned that the company is located in Omaha, Nebraska.